Stop what you are doing and PIN this recipe. Seriously. Okay, are you back? 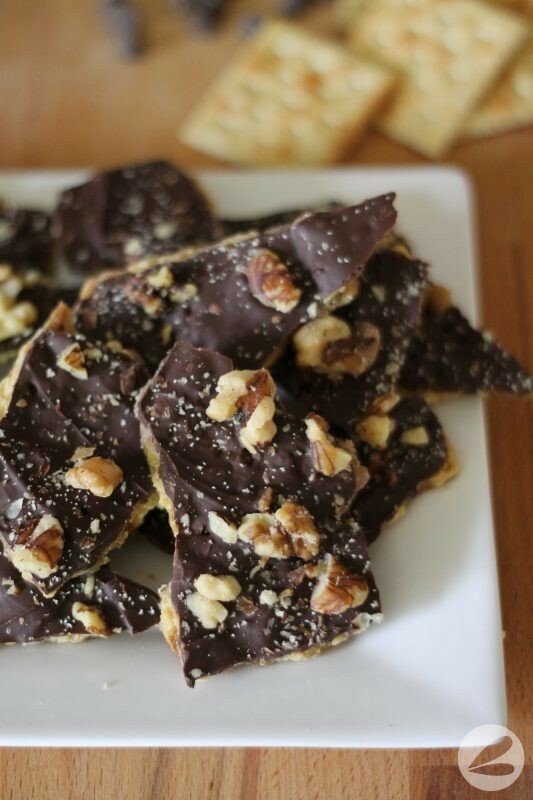 This Christmas Cracker Toffee is an absolute must have in your holiday baking arsenal. The women in my family have been making this for far longer than I can remember. It’s a recipe that is a “must make” for any kind of baking exchange or holiday gift giving. 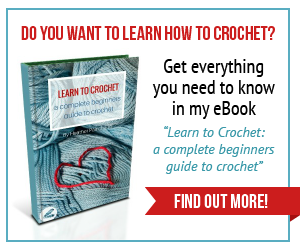 And you guys, it’s super easy to make! Oh! And so delicious. 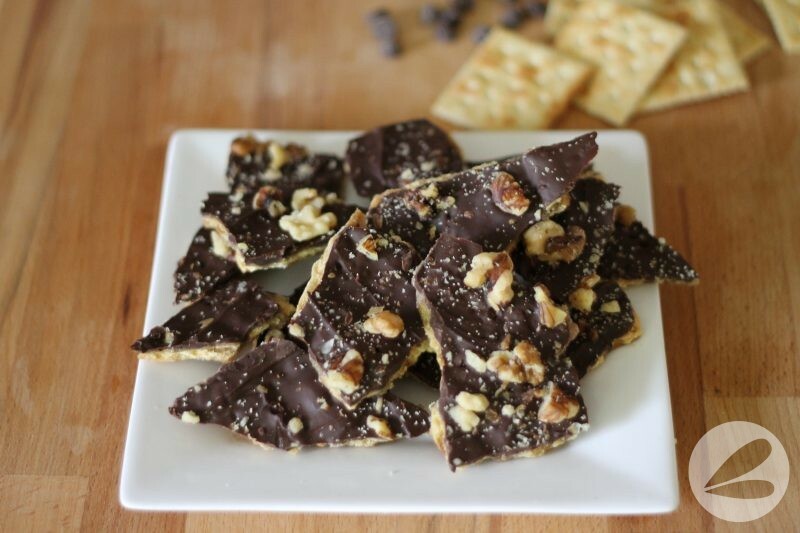 Friends and family alike are sure to gobble this Cracker Toffee up and ask for more! 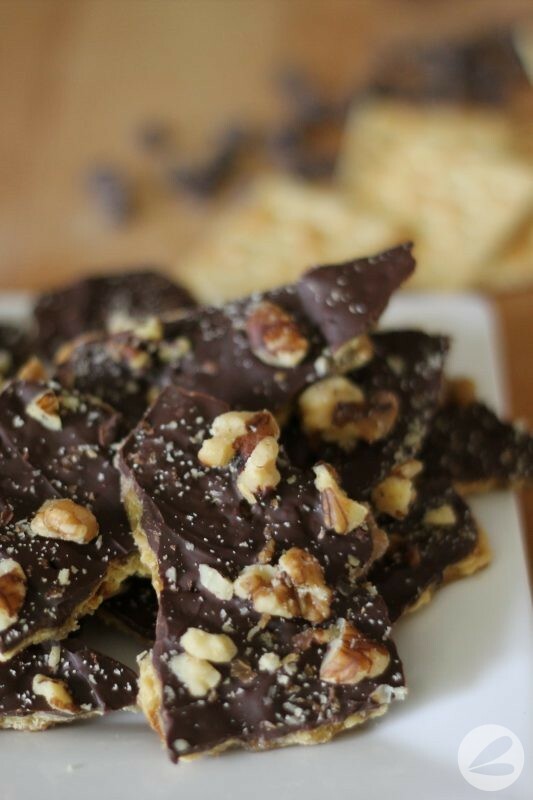 I have shared this recipe before… long, long ago before the age of making photographs Pinterest worthy LOL These photos picture this toffee with a crushed pecan topping but that is totally optional. 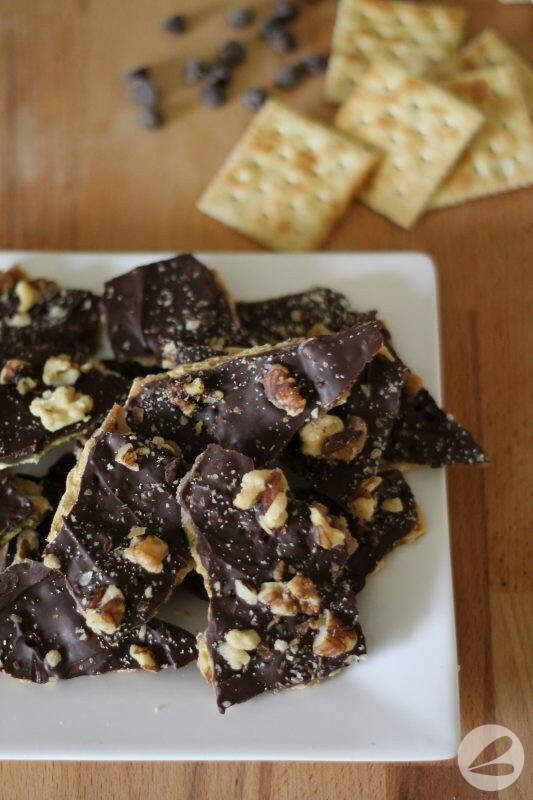 You can make this with or without the nuts, or add your own variation on a toffee topping. Sprinkles, candy or nuts would all be yummy additions to this recipe. Lay crackers evenly on the cookie sheet. Combine butter and sugar in a medium saucepan. Heat to boiling, remove from heat and pour over the crackers. Immediately sprinkle with chocolate chips and spread the chocolate over the entire cookie sheet as it melts. Allow to cool for at least two hours before breaking into pieces. Does your family have a “go to” recipe for the holidays?